Laatst hadden we voor jullie al een kort artikel over de Beard Comb van Big Red Beard Combs. Vandaag hebben we voor jullie een interview met de mensen achter de kammen. Lees het gehele interview hier. Binnenkort plaatsen wij de review van de kam. Who is Big Red Beard Combs? Big Red Beard Combs consists of Rick Heatley and Keri Brunskill. Rick has been building fine furniture for the past 20 years and takes care of crafting and designing our combs. His background and experience allow him to create combs that are strong, functional, and finished to the highest standards. Keri takes care of graphic/web design and PR. She has a Degree in Illustration and Graphic Design. Where did the idea come from to start Big Red Beard Combs? Rick had a job to build a custom kitchen and decided not to shave until it was finished. Seeing as kitchen’s take a long time to build, Rick’s beard was coming in fast and he was in need of some sort of comb to tame it. Naturally he turned to a small plastic comb like many do. After using the plastic comb for a few days he found it lacked warmth and created static, leaving him wanting a better beard comb. Seeing as he has designed and built things all his life out of wood, it only seemed natural for him to build his own wooden beard comb. After much design and experimentation the first Big Red Beard comb was cut. This comb was far superior to the plastic comb he had once used and we both knew we needed to share these combs with the world. And so, Big Red Beard Combs was born. Why did you guys choose to build the combs out of wood? Wood was a natural material to gravitate towards as Rick has been working with wood his entire life. Since the combs are made from wood, each comb is completely unique. They all have different variations of grain and markings, and that is something we love about them. It’s something that sets them apart from mass consumer products. We craft all of our combs in small batches, detailing, and finishing them all by hand. Are their any more products or variations coming in the future? The beard combs that we currently offer were originally designed to be carried around with you so you could groom your beard at any time. However we also plan to release 2 larger combs in the near future for larger beards and for hair. These larger combs will be great to keep at home and use in the morning, then grab your smaller Big Red for touch ups through out the day. What do you think of the beard culture? We think the Beard Culture is awesome! People are passionate about their beards, and so they should be! The beard phenomena is growing rapidly throughout the world and it’s something we’re excited to be a part of. 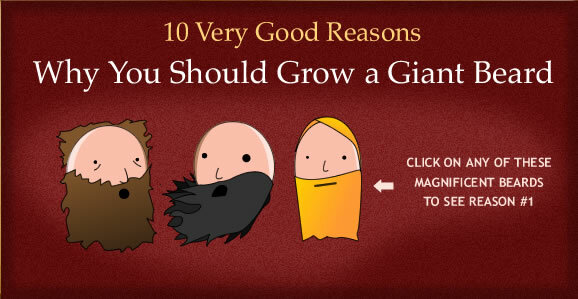 There are many stages of growing a Beard and it takes dedication to achieve the Beard you strive for. Our goal is to provide a great tool to tame the Beard through all the stages and keep men around the world groomed. The Beard craze is not a trend, it’s a lifestyle. How big is the beard culture around you guys? The Beard Culture has definitely taken off in North America. We’re seeing a huge resurgence in Barbershops catering to beards, as well as a plethora of small businesses popping up catering to Bearded men. We’re also seeing lots of Beard Clubs and Beard Competitions, even TV shows dedicated to Beards. We’re seeing beards everywhere…guys on the street, sports teams, models, advertising, etc. Beards are big in North America and they’re here to stay. What is going to be the future of Big Red Beard Combs? Here at Big Red Beard Combs, we strive to create beautiful yet functional Beard Combs for men. In the near future we will be expanding our line to include more combs, but also some men’s grooming products such as Beard Oil, Soaps, etc. We take great care while crafting our products and pay close attention to the smallest details for the best possible results. Are you guys bearded too? Of course! The name, Big Red Beard Combs, came naturally as Rick has a Big Red Beard. Keri, being a girl, thankfully doesn’t have a beard. However she is a lover of all Beards, big and small.